The sky looks big from earth, but it’s rather different the other way around. 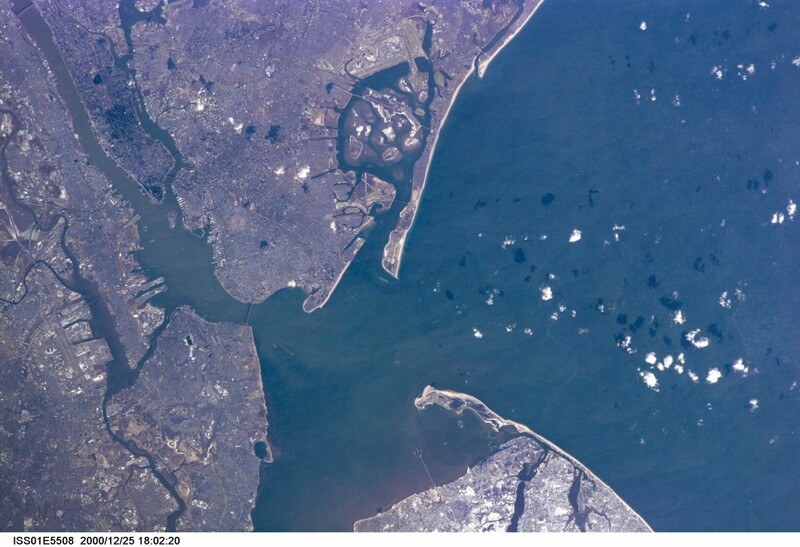 I’m not saying it’s not quite an experience, but inspecting the metadata on this photo of New York and surroundings taken on Christmas day, 2000, during the first International Space Station mission surprised me. To wit: it’s only a 180mm lens. Granted, that’s on an old Kodak DCS460 digital camera (a Nikon body with Kodak imaging unit attached) with a 1.3x crop factor, so the effective focal length was about 235mm. Still, think about it: if you were a space tourist, you could look down on the world with a fairly average digital camera today and snap photos of your home town while it passed the window. If you want to pack light, this pocket-sized camera has a 560mm equivilent maximum zoom and 18 megapixel sensor. That beats the ISS astronaut’s camera with triple the pixels and better than double the focal length. Plus, it weighs and probably costs a lot less. Much less. Extra: the longer lens and smaller angle of view on your camera would nearly fill the frame with the island of Manhattan, giving about six times the detail of this photo. Astronomers talk about the effects of atmosphere on our observations of the stars saying it’s easier to see into a pool than to see out. This picture certainly makes the earth look a lot closer to the astronaut than space looks to me on the ground.